Studio 9 is a exiting place for Wellington photography and has established itself as the place to come for great photography – stunning studio glamour images, alternative and promotional photoshoots as well as emotional engagement or family portraits in relaxed location settings. Have a browse through our pictures and see what we can do for you. Studio 9 and it’s portrait photographers have been taking great pictures since 2005. The studio9 photographers Paul and Lynnette have been taking professional photographs for much longer. Studio 9 has members of the PSNZ and the Royal Photographic Society, professional industry awards for the beauty and quality of their portrait photography. 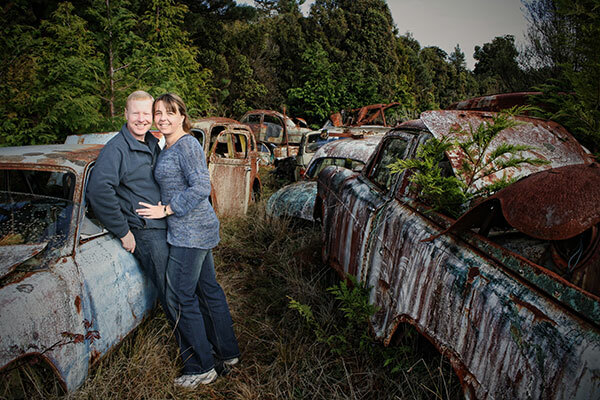 Portrait photographers – Paul and Lynnette. Paul and Lynnette are both award winning portrait photographers, Studio 9 starting winning awards in 2007, with continuing success in competitions and publishing photographs year on year ( Award winner at the Kodak gold awards from 2007 to 2012 ). More than a picture, our images are something we take pride in creating together. Delivering top quality print, canvases, photobooks or fully edited digital images. Portrait sessions are meant to be fun and photoshoots are normally an experience to remember, whether on location or at the studio. We take our time to capture something special, a piece of art you can keep forever. For a unique and individual experience that doesn’t cost the earth come and talk to Paul and Lynnette at Studio9.